Interfax financial and business news covering Russia and the CIS is used by banking and financial sector professionals around the globe, who view it via their Bloomberg terminal. Industry Indices, Russian language financial news, Ukraine and China business news, are also right there on the Interfax dedicated page on Bloomberg. 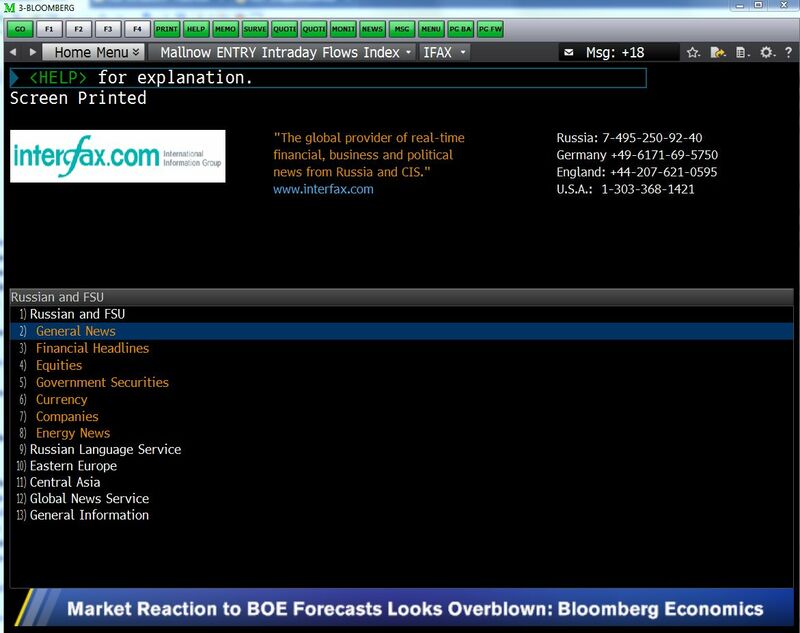 To access the Interfax news on YOUR Bloomberg terminal just type . You can set up a free trial for yourself right there and then. It's option 99. Users can go to IFAX go every day, or most just have set up their preferences, and having bought Interfax Bloomberg access all our relevant news is delivered right before the user, according to their filters. Reading Interfax via a Bloomberg terminal is fast becoming the medium of choice of busy banking sector professionals who need to keep an eye on the Russian market as has the edge over competitors in terms of content, speed and accuracy. 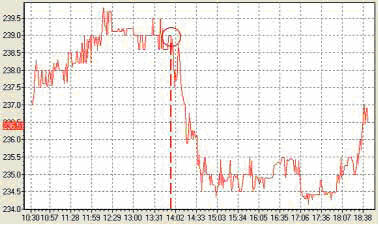 And because you are on your Bloomberg you not only can read the news, but have the ability to act on it, and you can quite literally "trade" on Interfax!